As an enthusiast of the future of mobility, I was surprised to read the following recent headline and accompanying article: Study Shows Alarming Driving Behavior by Age and Mistrust of Self-Driving. I’m curious … What could possibly cause alarming mistrust of the autonomous future that I am so passionately awaiting? If we look at parallel experiences now that automobiles are moving from an industrial good to a digital/technological offering (“This is not your father’s Oldsmobile” anymore), we should be adopting a more optimistic – not alarming – attitude. Seriously? What can be so alarming when 37% of Millennials (22% of the U.S. population) are already excited about the advancement, and 53% of Generation Z (26% of the U.S. population) is definitely willing to try once it is proven safe? As cars become more technology driven, it’s time to consider “Crossing the Chasm,” a phrase that comes from bestselling guide Crossing the Chasm: Marketing and Selling High-Tech Products to Mainstream Customers. Written by Geoffrey Moore, this book focuses on the specifics of marketing high-tech products during their early startup periods. Moore's exploration and expansion of the diffusions of the innovations model has had a significant and lasting impact on high-tech entrepreneurship and enables a more realistic understanding of how to market new tech. 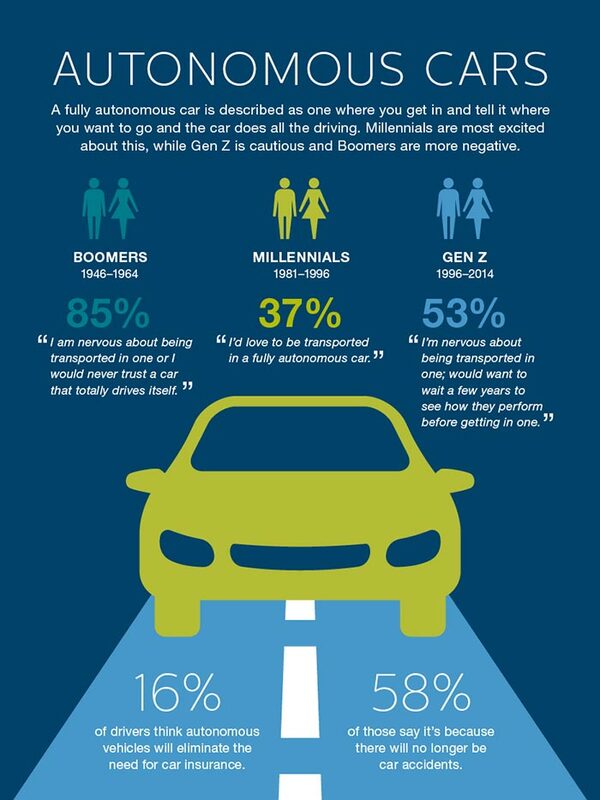 If we account only for the Millennials’ enthusiasm for autonomous vehicles (37% of 22% of the population), we would already have 8.1% of our total population labeled as innovators, thus immediately surpassing the roughly 2.5% of the population considered as “innovators” in the above graphic. 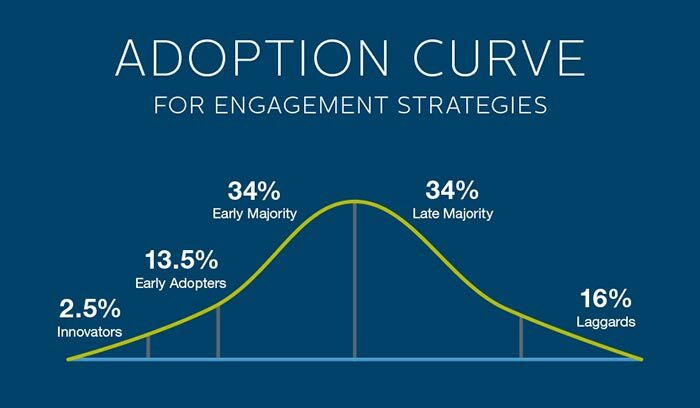 The adoption curve should be very manageable by closely monitoring the key benefits required by each segment moving forward. While it took ATMs approximately 20 years to reach 60% market penetration, it took about six years for the internet to achieve a similar penetration. The length of time between introduction and mass acceptance is shortening. We are not saying that autonomous cars will fill all roads by 2025, but adoption won’t be anywhere near alarmingly slow levels. At the time of this writing, I continue to be bullish about autonomous vehicles. Adoption rates are fast by historical comparison, and they will be affected more by outside forces such as government regulations and car-charging infrastructure availability than by consumer acceptance. OEM investment in consumer communications and service will quickly demonstrate the positive experience of using self-driving vehicles. We will benefit by preparing for when this technology is fully adopted. For example, how will your job change? How will your company change? What will be the key customer service touch points? We’d love to hear from you in the comments below. 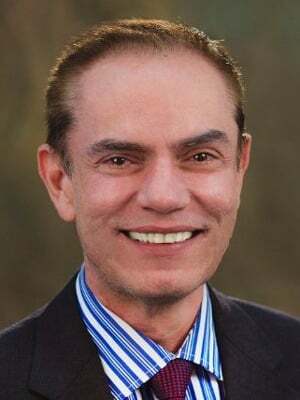 As I was finalizing this blog, we learned about the sad news concerning an Uber in self-driving mode that hit and killed a 49-year-old woman in Arizona. This type of occurrence is a harsh reminder that automotive and technology innovators must maintain the highest standards of testing protocols. While we are not yet in a position to fully understand the errors that brought on this event, autonomous mobility experts agree that well-functioning systems should detect and avoid such tragedies. There is no doubt that we assume a certain level of risk every time we enter a vehicle. For the autonomous vehicle market to survive and thrive, those risks must be no more – and preferably less – than the risks that we currently assume. Based on my belief that the industry will attain this state of safety, I remain committed to the points in my conclusion.